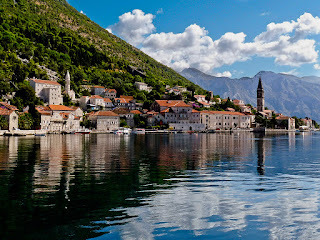 This particular region of the world is high on my exploration list, and for this post I wanted to highlight one city/area of particular interest: Perast, Montenegro. Located on the Bay of Kotor, the city of Perast's history dates all the way back to the Byzantine empire. Venice and Hungary also fought for control of the city, and in 1918 Kotor became part of Yugoslavia. Shipping was the primary focus given its location within the Bay and surrounding inlets. Various churches are still open and available to visit - more information about the region and what you see in this picture can be found at this site. Some notable places to see include the unfinished parish of St. Nicholas, the church of Our Lady of the Rosary, Our Lady of the Rocks, and Bujovic Palace. 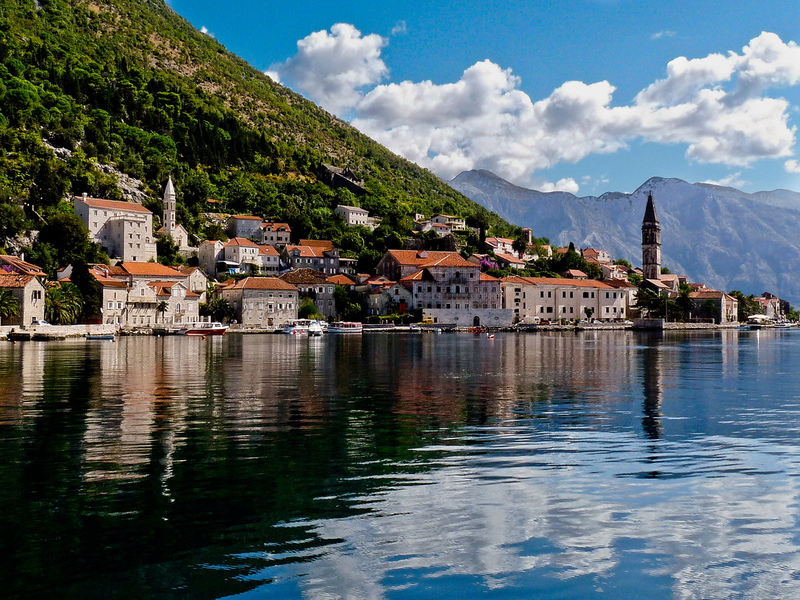 Getting to Perast might be part of the adventure. There are no direct flights though you can use a car or find a bus departing from Kotor that takes about 30 minutes. Flying into Kotor or Dubrovnik is much easier, with a variety of connection options throughout the region and Europe.